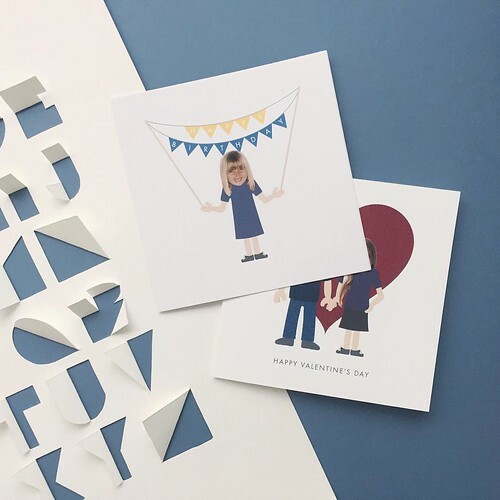 I know, I know... February 14 is wayyy too close for you to even think about ordering one of these clever personalized Valentines from Little Envelope, but because there are more card sending opportunities throughout the year, I decided to go ahead and introduce the shop today. You see, the pic caught my eye on Instagram recently (@little_envelope) [edit: now @gableandgrain] and I was wowed by graphic designer Gina Hollingsworth's novel idea. 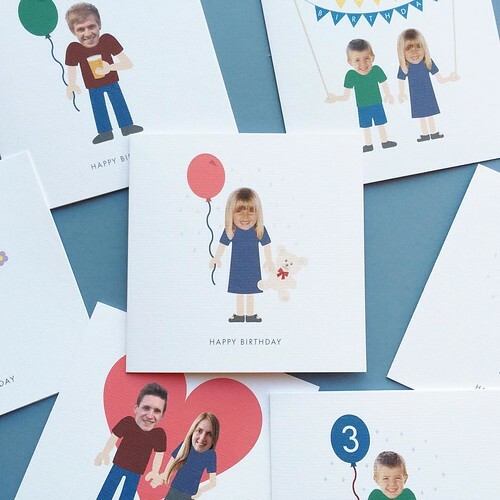 She launched the shop just a few months ago and offers customization options that make the cards appropriate for birthdays, anniversaries and other special occasions. 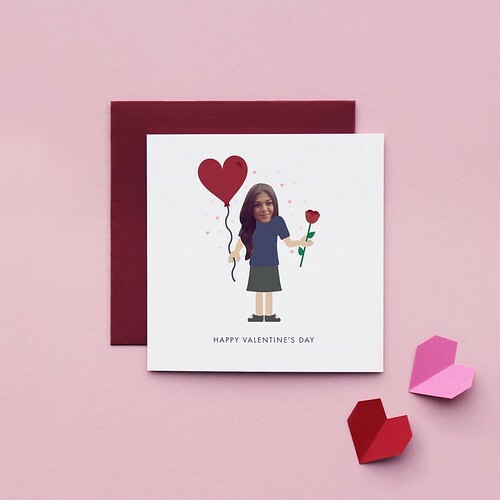 You choose a design and items you would like included - flowers, balloon, present, birthday cake, ice cream cone, even a glass of beer, wine or champagne - then check out and email Gina a photograph of a person's face. She will design/print your custom card and mail it to you.... all for not much more than the cost of a nice card at the supermarket. I can't imagine these cards not bringing hoots of laughter from the recipients. Maybe it's the no-neck thing or perhaps the overall fun design, but either way, they are sure to brighten someone's day. Gina has a degree in Graphic Design from the University for the Creative Arts in Kent and is employed as a designer at Harrods... you know, the famous London department store. She created this lovely cut paper alphabet while attending the Graphic Design Summer School course at Central Saint Martins in London. 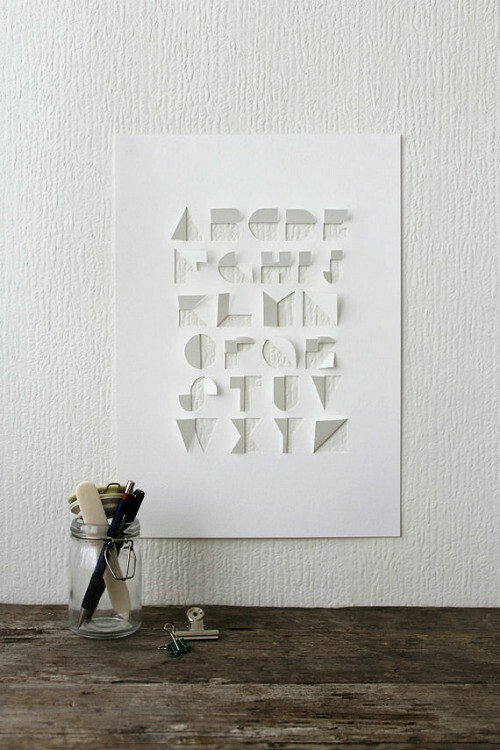 It would be the perfect gift for a typography lover. See more of Gina's design work on Cargo Collective. And what goes hand-in-hand with special cards and gifts? Beautiful wrappings. I may have been behind the eight ball on Gina's Valentines, but there is no better time than now to alert you to Wrap and Revel's Moving Sale. Everything in the shop is at least half off. All of the big rolls of gift wrap are $5 each, even the ones that were $15-18. 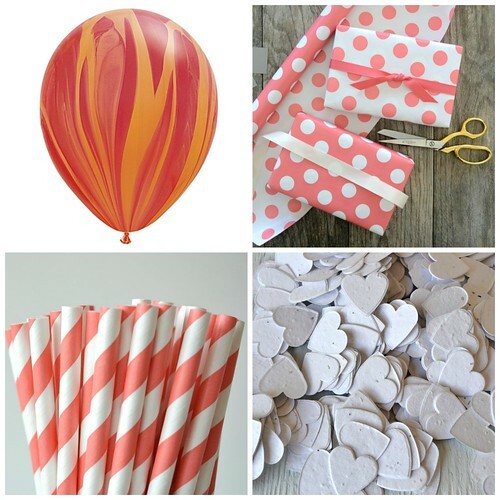 You'll also find pretty marbled balloons, paper straws, seed paper confetti, bags, envelopes and twine. With more than 35,000 sales, Wrap and Revel is an Etsy success story. Fine print: This is not a sponsored post... I just happen to like these shops! Oh so clever!!! Anyone would be delighted to get such a personalized card! I think so too, Jan! Pure fun.